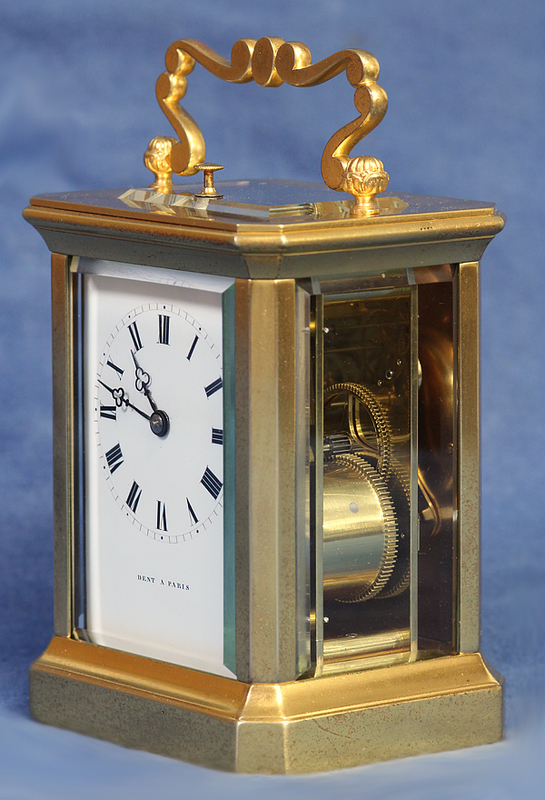 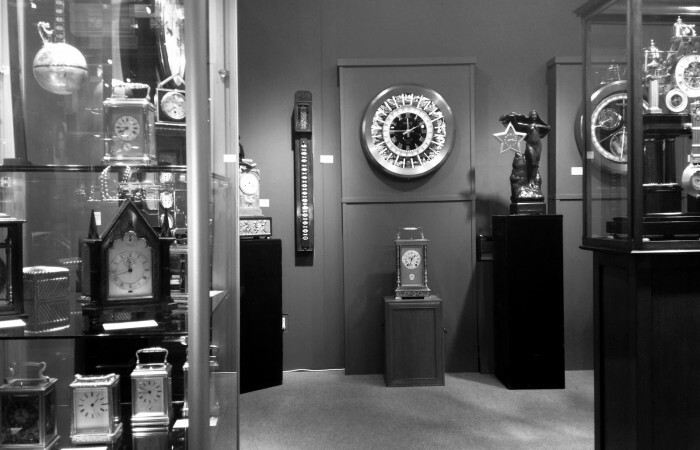 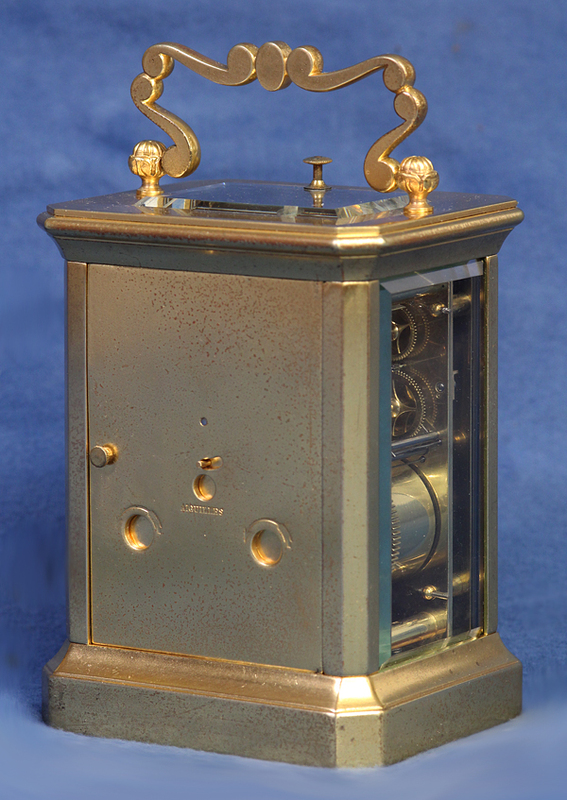 c.1855 Gilt-Bronze Series IV Carriage Clock. 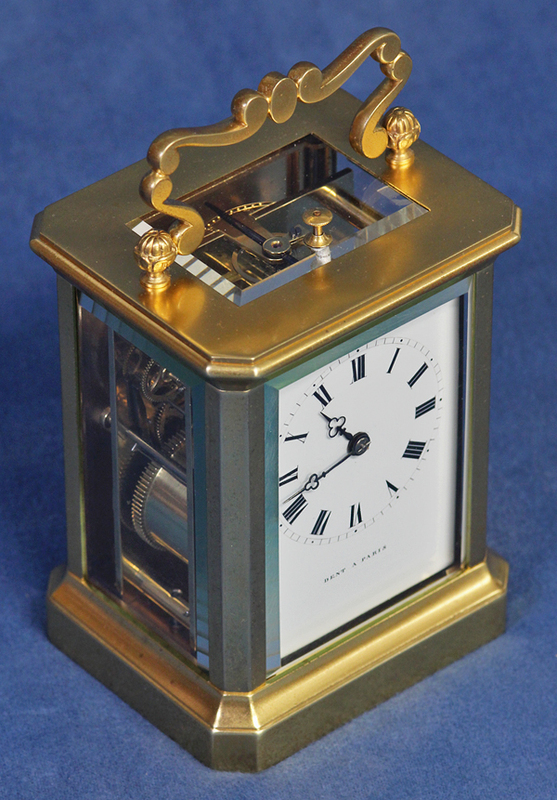 The simple multi-piece gilt-bronze Series IV case has chamfered corner columns, a shaped, hinged handle, beveled glasses to four sides, a solid back door with shuttered apertures for winding and setting, is stamped ‘2280’ along the bottom edge and has a wooden block in the base. 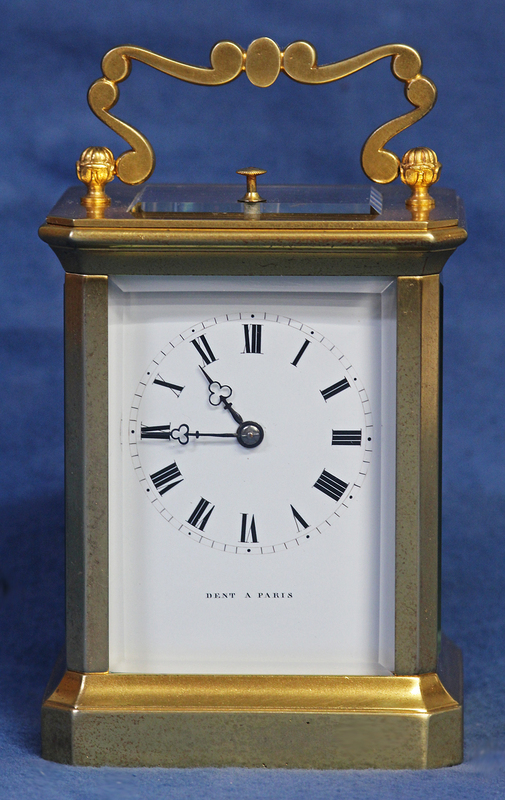 The white porcelain dial has bold, finely lettered Roman numerals for the hours, steel-cut tre-foil hands and is signed by the retailer, ‘Dent a Paris’. 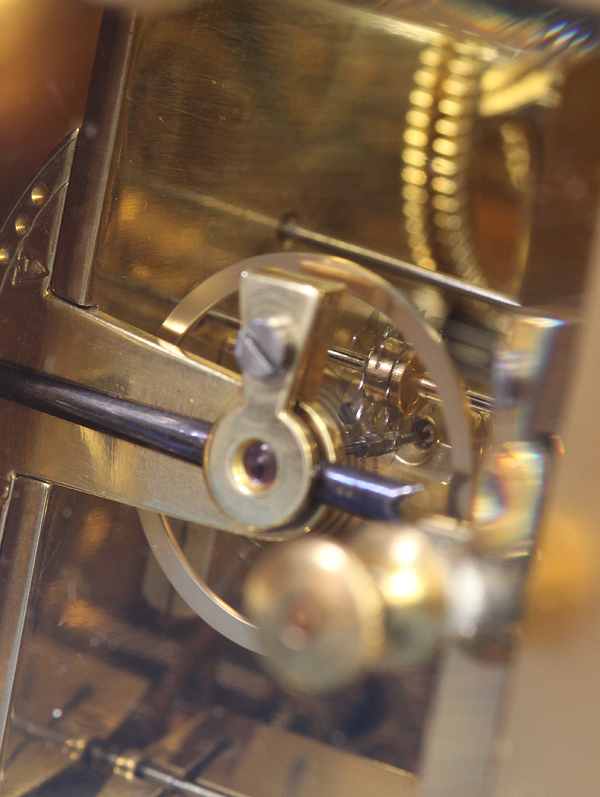 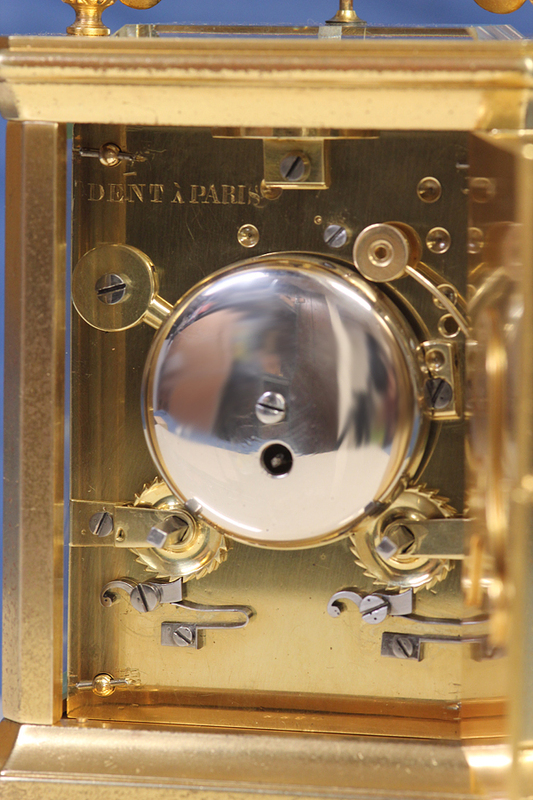 The eight-day time and strike movement is wound and set off the back plate, has the repeat button through the viewing glass, a chaff-cutter escapement with a steel palet, strikes and repeats on a bell, is stamped ‘2280’ and carries the retailers stamp, ‘Dent a Paris’. 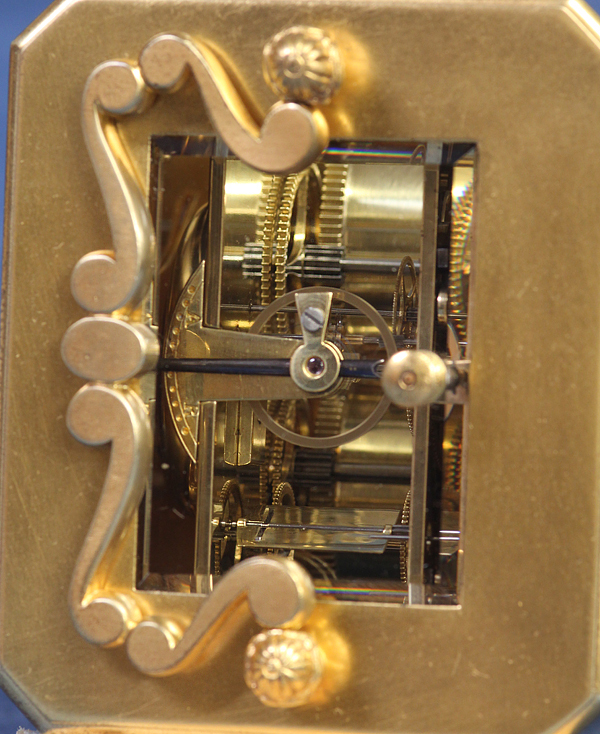 The chaff cutter escapement was first patented by Paul Garnier in 1830 who would often supply his high quality movements to other renowned Parisian clockmakers.